A sheet protector and index all in one. Print on tabs with laser printers, inkjet printers, or typewriters. 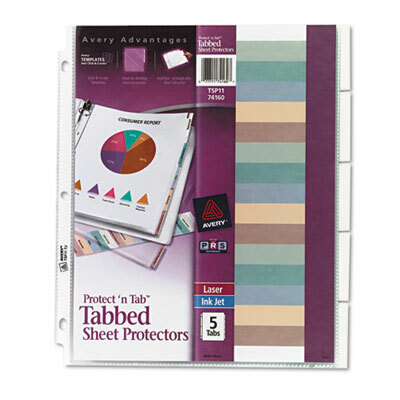 A sheet protector and index all in one, creating a customized, professional look. Easily print on tabs with laser printers, inkjet printers, or typewriters. Specially formulated nonstick material won’t lift print off inserts. Heavy-weight polypropylene for added durability.